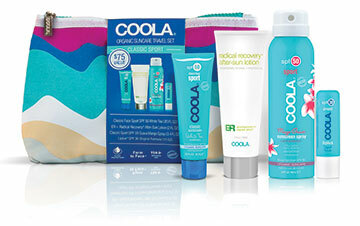 Coola’s Organic Suncare Travel Set was one of our Farmgirl Finds in the Aug/Sept issue of MaryJanesFarm. The quartet of sun-care products—including Sunscreen Spray, After-Sun Lotion, White Tea Moisturizer, and Liplux Lip Balm—comes in a reusable, travel-friendly clutch. All products are free of parabens, PABAs, and phthalates, and are packaged in TSA-approved carry-on sizes. For a chance to win a FREE 3.4-oz bottle of Coola Sunscreen Spray, tell me about your summer-in-the-sun plans in the comments below. I’ll toss your name into a hat and draw a lucky winner sometime mid-August. I have my bakery business for gluten free bakery that is as organic as possible if not organic then non-gmo and I sell at the Farmer’s Markets and Festivals in my area. Also, gardening and mowing, I spend a lot of time outside. Hopefully will squeeze in some hiking and fishing. I have used this product and recommend it. Living in South Florida, you can never have enough sunscreen. I walk, swim and ride a bike . . . I never leave home without it. My grandchildren will be coming in August to snorkel, paddle board and whatever. This would be a welcome addition to protect them from the strong sun. summer in the sun includes lots of gardening, yard work in my flower beds, rock gardens and herb garden. 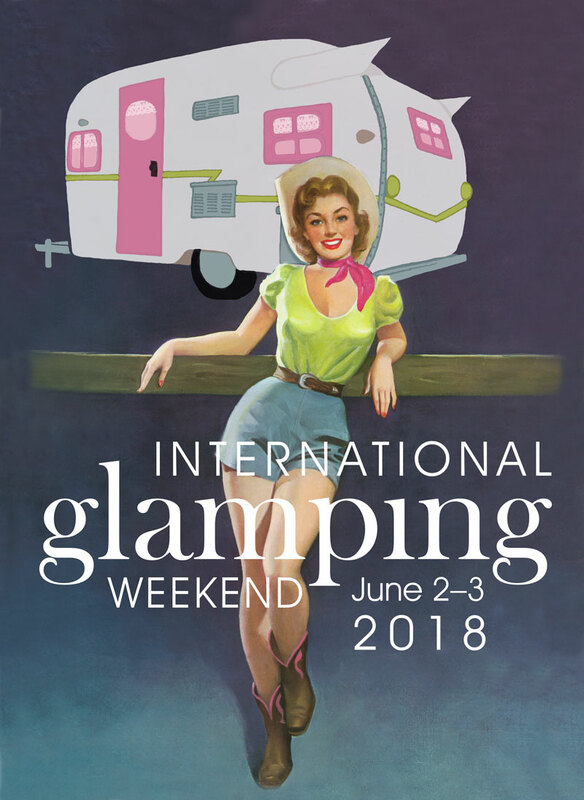 It also includes glamping with my daughter, day trips to the mountains, morning walks and helping my hubby with cow chores and irrigation. Lots of sunshine here in the high altitude of Colorado! Gotta take care of your skin! I spend most of my Summer in my gardens. Living in Montana we live for days when the wind feels GOOD and not freezing our fingers! This has been a late starting Summer ,so I am going to be picking my first of the season peas this week Yea! come on baby potatoes! My favorite dish is the first baby potatoes and peas creamed. Being over 60 I have found skin care is very important , I wish I had started when I was younger. We knew nothing about the uv index when I was a teen , we sunbathed with baby oil and iodine mixed together! Crazy! Now I never even go outside for any length of time without my sun hat. We are moving to our retirement home this summer and will be in the sun throughout the daytime. So far the boys and I have spent everyday outside playing and working in the garden. Our yard doesn’t have a ton of shade so I move our umbrella around with us. We recently purchased a small swimming pool and have plans to swim most of the summer. Hopefully we can find a weekend to head out camping or boating. No summer vacation planned but I will be outdoors tending my chickens and gardens. I walk my 3 dogs each morning in the sunshine…or rain! I love being outdoors, connecting with nature, and breathing in the different fresh and sweet scents that the plants/trees emit. Most of my summer time plans include my five grandsons. We will be building a treehouse at our country place this summer and then we will be going to Six Flags over Texas. We are all excited about the amusement park and the waterpark especially! After that we will rest up on the beach in Galveston Texas; we will need the rest! Dogs walks, lunch with friends and plenty outside yard work. Plus taking care of my neighbors pot belly pig and goat. Soaking up the sun and enjoying being outside. We are blessed to have such a beautiful Country. This summer is filled with outdoor activities. Tending to my gardens. Cutting wood for winter. Camping, swimming & hiking. Always outside and need skin protection from the sun rays. A trip to Washington and Oregon with my 15 year old niece and my yearly trip to the beach. In between (and other than working) visiting the farmers markets, picking fresh fruits and veggies at local farms, beach, pool time and SUP yoga! As I love to work in my gardens, I must use sunscreen. I will in my backyard taking care of my organic garden and picking lots of blueberries from all my blueberry bushes! Our summer is swim meets, Lake Hume and the beach. We love being outdoors, but we have to travel to enjoy cooler weather. Living in Bakersfield, CA in the summer time is brutal. Range here is 100-112 and the air quality is aweful. Off to Holden Village- a funky retreat center one can only get to by hiking in or by boat, up Lake Chelan, then a scary old school bus ride up the mountains. It’s an old miner’s village now owned by the Lutheran Chuch. Most open and accepting place on earth. (All welcome!) Love it! Me and my 4 year daughter plan to soak up the sun on our new farm! Tending the garden, chasing chickens, bee stings, and tree house campouts ! My summer in the sun will be spent in the garden and riding my bicycle. This year my summer in the sun is spent revamping by backyard and deck. So excited to redo the deck and put a roof over it. I’m not a “sun worshiper”, but love to be outside in the fresh air. I’m sure this will get a lot of use! We just got back from our island vacation-Martha’s Vineyard! so beautiful. we try to take day trips to the beach during the summer, or just sit beside our pool. I moved to a new area in November 2016. I’m enjoying exploring some of the many wonderful things to do here, now that the rainy, gloomy winter weather finally ended a month or so ago. This includes visiting parks and attending outdoor programs. I went to an outdoor play on Saturday evening. It was lovely to be able to sit outside after dark and not feel chilly! We plan to take our 1985 Westfalia across country (we’re hoping it makes it! ), visiting the great National Parks and enjoying the beautiful USA! Heading to the mountains of Colorado to escape this Texas heat! We are working our new steer and the chicks are in the pasture. We will go kayaking and swimming. Sun care is essential for work and play! A trip to Myrtle Beach SC in Sept. when it’s not so hot right after Labor Day! I don’t have any travel plans other than nearby quilt shows. My time in the sun will be spent on the tractor, taking care of our acreage, garden and flowers. Plenty to do outside. I have developed a sun allergy, so I use plenty of sunscreen. Thank you for the opportunity. Whenever we can get away from work, my son & I like to go to Wisconsin Point to let the dogs play in Lake Superior, watch the laker boats come & go, as well as all the pretty sailboats around the lighthouse. We take our 3 dogs to play with friends at the dog park, go to the local baseball games, work on our property and hang out in the hammock. Lots of activity here getting some beautiful teams ready for summer wagon trains, with opportunities to get some great photographs. And then visit the community garden and mulch a little bit, and grab some blueberries. My summer in the sun plan is spending time in my yard and garden, trying to keep up with the mowing and weeding along with getting ready for fall gardening. Actually, very relaxing !! My summer always involves lots of hours in my vegetable garden. It’s not perfect (nor always pretty), but it is my ‘happy place’ when I need to be outside after work! Lots of gardening that is if the bunnies don’t eat all my plants before they even have a chance to grow. I just returned from a quick vacation in Chicago – had a great time! The rest of the summer is full of relaxation and organizing the house for Fall. We have 5 1/2 acres that I mow every 4 to 5 days. I love being outdoors and really need good sunscreen products. My summer in the sun. . . I have a Cottage Kitchen business that makes jams, jellies, condiments and baked goods. This is a busy season picking our fruit as it ripens, cooking over a hot stove and canning the flavors of summer. Our local farmer’s market and other venues find me standing in a booth giving samples of our goods. Summer, it’s a good thing! No definite plans yet this summer, my oldest son broke his leg, has had two surgeries since with lots of current and future therapy. He’s had a challenged recovery. Our summer will be a quiet one enjoying our back patio, roasting smores and playing board games. I will be climbing in my chaise lounge for a warm summers nap every chance I get! It makes me feel good to use Organic products whenever I can – both into my mouth and on my skin. I have a dear friend who invites me to sit by her beautiful pool with her, and that is when i like to use products that are good for my skin – to go with girl-time that is good for the soul! Summer-in-the-sun plans include gardening, running with chickens, and visiting my cabin in the woods. We’re attending my nieces wedding being held in a meadow at the base of Mt. Adams in Washington state. It should be beautiful and a bonus family reunion at the same time, camping and lodge stays included. We’re starting the festivities with a hot dog roast the night before, yoga the morning of the ceremony, and birding in Hood River the day after. We’re also going on a 6 mile Rail Ride in Tillamook, Oregon! Pedaling our way as a group down the old railroad tracks along the beautiful Oregon coast. Given that these fantastic opportunities take place outside and I had stage one melanoma removed a year ago, the Coola prize would be the perfect protection during these activities. Summer’s sun is welcome after a hard winter in southern Idaho. In morning hours, I’m outside checking on my garden for dryness, weather is in the 100’s this week. I’m fascinated with growing corn, beans, zucchini, tomatoes, and squash. A couple of flower baskets get water daily. Have introduced clover to the front and back yards to conserve on water and mowing. I recently spent time building a fence from recycled wood for my garden. Frequently I take day trips to see the surrounding small cities and farms. When I’m outside I try to keep my skin protected from the sun, and wear a hat, but haven’t found a good protectant to apply on my skin regularly. Maybe “Coola” will be the answer! Wear a hat when outside gardening or on day trips around Idaho. Haven’t found a good skin cover, yet. Maybe “Coola” will help me out while I’m in the sun! Planning a long camping weekend this month. Looking forward to it!